Scheduled for release in Spring, a new book publication by Joseph A. Tunzi / JAT Productions and Daryl W. Restly. 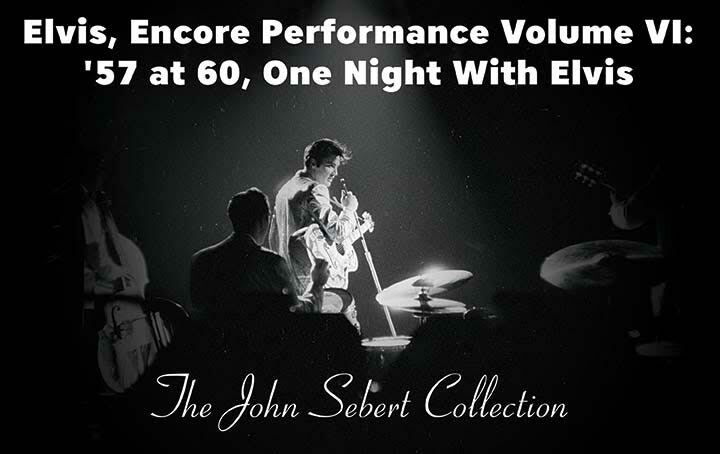 The book, titled Encore Performances Volume VI: '57 at 60 ‐ One Night with Elvis will feature photos of Elvis Presley, from the John Sebert collection, that were taken on April 2, 1957 at Maple Leaf Gardens in Toronto, Canada. These photographs are taken from the original negative sources rather than lower quality scans you might find in other publications. Back in 2015, while JAT Productions was preparing the book, Encore Performance V: One Performance Only, Featuring Chicago '57, Tunzi acquired the original negatives from the John Sebert collection. This collection included over 300 photographs taken that evening. '57 at 60 ‐ One Night With Elvis will retail at $39.95 plus shipping & handling and will feature roughly 250 of these images.